In the land of the free, the free press has come under frequent attacks, often without any reprisals, from an administration that considers the press the enemy of the people. And this very notion of a biased press corps has found its way into the hearts and minds of the American public. President Thomas Jefferson famously said that their liberty depends on the freedom of the press, and that cannot be limited without being lost. The press in the U.S has lost their voice and it appears to be struggling to keep up with a president who loathes the press and anyone who has an opinion to express about his administration. Not a day has passed without the Trump administration lobbing an attack on the press, wrote Nick Grube of Honolulu Civil Beat. The New York Times in its opening lines said, for the nation’s journalists, this has been a summer of unease and unrest. Jounalists are not the enemy, by The Boston Globe, is yet another heart wrenching piece that asked other news organisations in U.S to join in the #enemyofnone campaign. Last week, in a rare show of press solidarity, American journalists were out in force to show that the pen is mightier than the sword. But when news organisations took aim at the president, there were others, even amongst the press corps, who said that these news outlets have become political and have lost their objectivity as news organisations. Trump’s labelling is a cause for concern. American press is losing credibility in the eyes of the public and this loss of credibility comes at a time of digital disruption and social media. Some observers have said that journalism is in crises as new business models have come to challenge the monopoly of traditional news rooms. It is clear that the journalists are not going down without a fight and neither are they alone and have the U.S Senate at their flanks. The U.S Senate passed a resolution unanimously affirming their support for the First Amendment and the freedom of the press to hold those in power accountable. The resolution was passed on the same day 300 publications ran their #enemyofnone campaign. Press censorship is seen as an authoritarian tool to keep the press at bay. In a strongly worded resolution, Brian Schatz, Senator of Hawaii, wrote about how tyrannical and authoritarian governments have suppressed the press to advance undemocratic goals. Sitting on the other side of the planet and perhaps also on the other end of the press freedom index, I watch the developments in the U.S rather curiously. I take refuge in the fact that my American friends can finally understand what it means to soldier on under an authoritarian regime. The question that keeps running in my mind is how can a country that has made great strides in technology and has given the world great inventions from the Internet to smart phones go in reverse where press freedom is concerned? Will this spell an end to free speech? It doesn’t seem so now. In another editorial piece by the Civil Beat, “The ‘Enemy Of The People’ is actually doing its job,” they argue that news organisations go to great lengths to get the facts right and the importance of preserving the Fourth Estate. The very fact that The Washington Post, The Los Angeles Times, The Wall Street Journal and other notable publications did not participate in the #enemyofnone campaign shows that the U.S press is still diverse and carries different points of view. This is in sharp contrast to our very own Straits Times and in the words of Dr Cherian George, ST is only happy to be pontificating the views of the government. Many say, ST is the Fox News of Singapore. Singapore can do much better, democratically speaking, in a more robust media environment. Our media environment is polarized at two ends of the political spectrum. At an event organized by The Independent in 2016, Viswa Sadasivan, former NMP said that freedom of speech is a western construct. As a journalist, I thought he was selling himself short. Journalists here are taught to pussyfoot around the power centres and I’m aghast that even those not in power, the fringe parties as my colleague would describe them, flex their muscles from time to time. We are not cowed by them either and neither do we exist to be their flag bearer. We have taken down several articles and often they are at the request of the affected party. But what’s notable is that never once has the PAP requested that we take down a piece. Perhaps, it maybe because they consider us to be too small to impact public opinion. Ironically, one opposition member has taken issue on two occasions. One, regarding an article concerning protection of rights for those afflicted by a disability. And the other about her party member’s artistic hobby. In our opinion, both are a matter of public discourse. The question is, what is it that they are hiding? Autocratic ambitions? However, it would be grossly unfair to cast them all under the same light. For instance, we have written pieces critical of the SDP but not once has Dr Chee Soon Juan asked us for a take down, though on occasions, he has requested that we publish a rebuttal from him or his party instead. This is ideal, and I wish the others can learn from him. Unlike the U.S, our media sector is grossly under-developed. We need more investments in our media institutions so that we can have a more diverse mediascape, but the government has placed restrictions on the kinds of funding that we can receive. 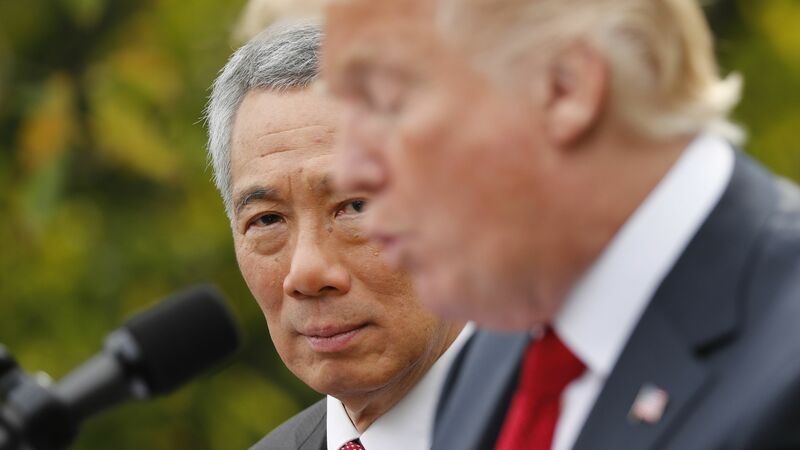 The real problem is, without a level playing field and a robust media environment, should a Trump-like figure rise to the top echelons of power in Singapore, then he or she will have enormous powers over the state-friendly media. If that ever happens, it will be too late to act, and we don’t have a senate to come to our rescue.